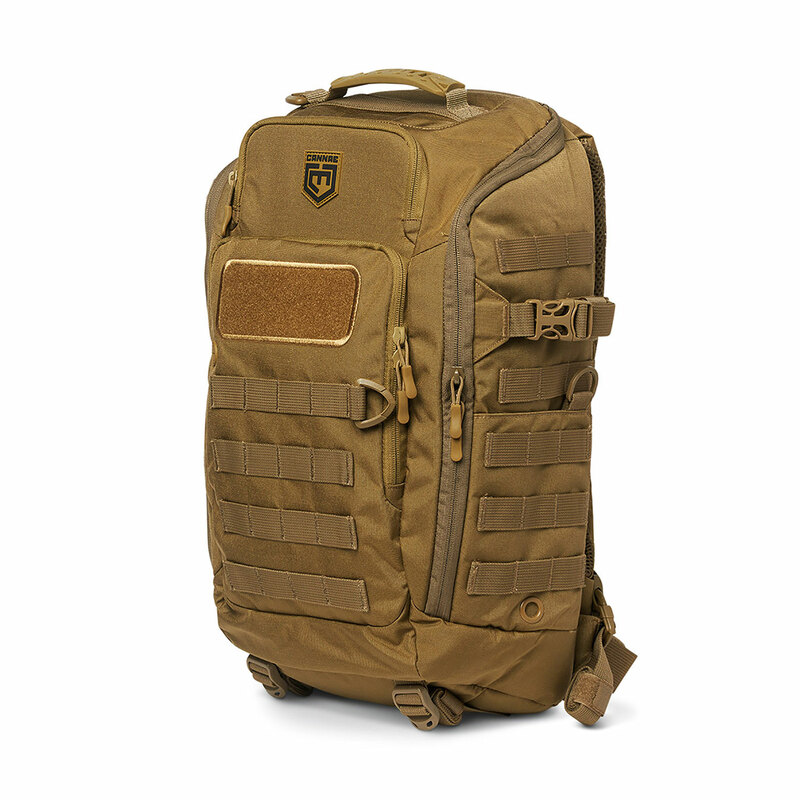 Built to meet the demands of tactical operators, Cannae’s Legion Day Pack delivers heavy-duty performance with maximum comfort. 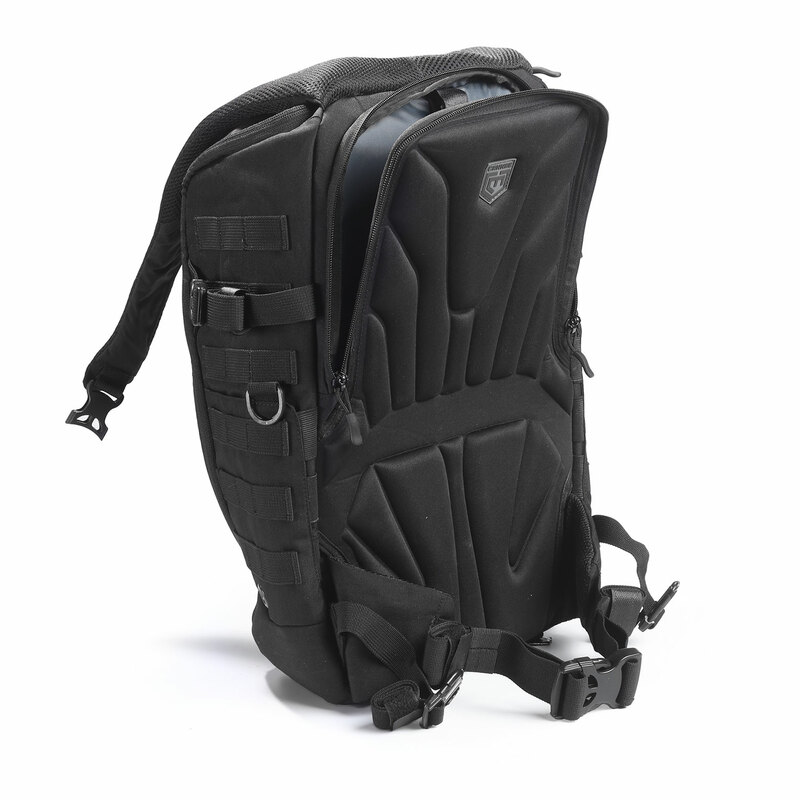 Features Cannae’s unique single-zip body and top position opening for full or vertical access to your gear. 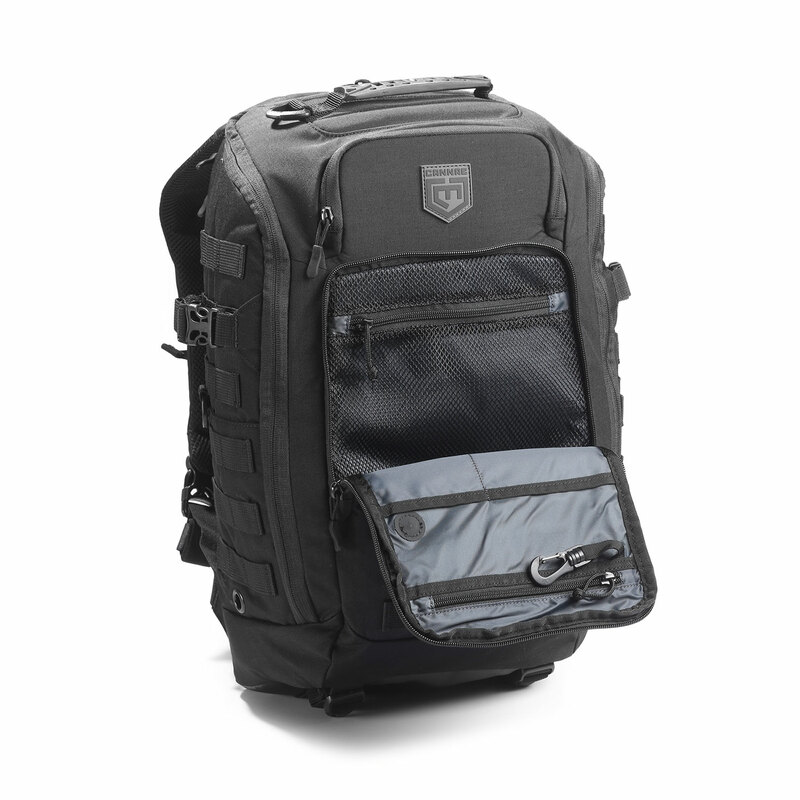 A built-in compartment secures and protects your tablet computer or small laptop. 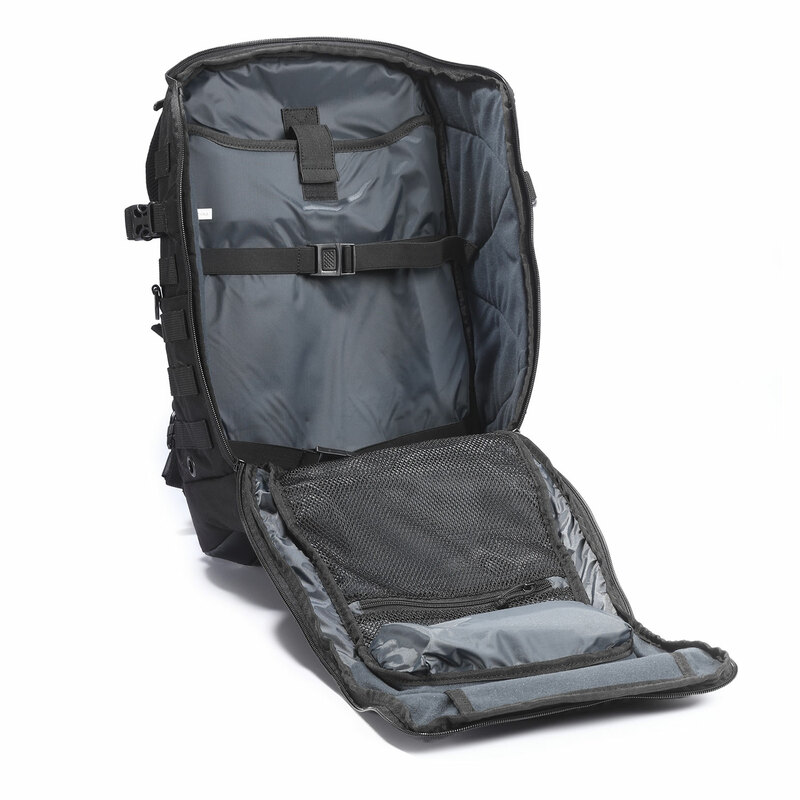 Zippered back compartment accommodates a 2- liter hydration bladder (sold separately). 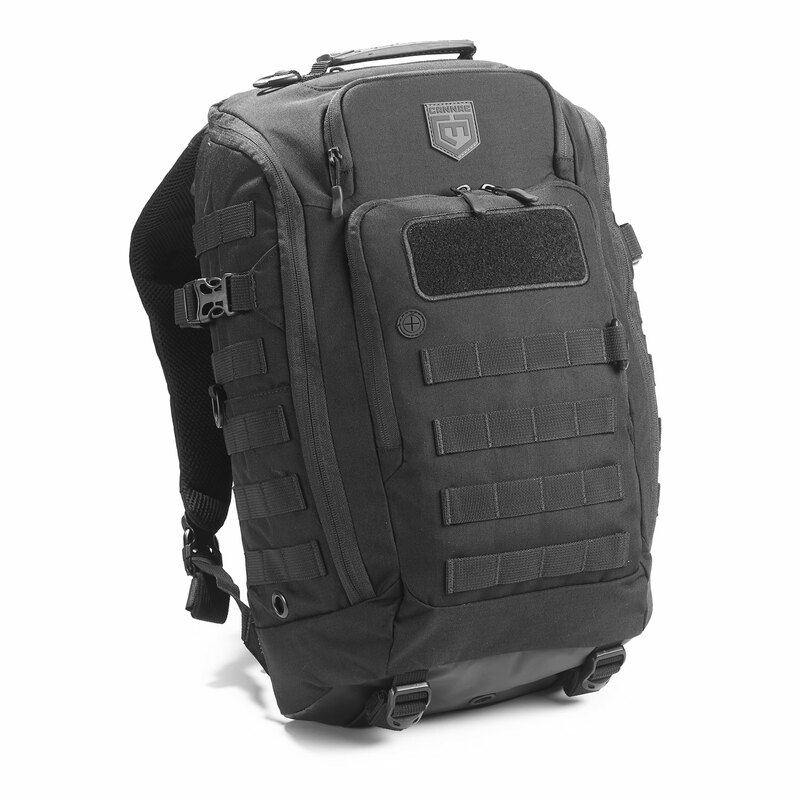 Covered with 37 mil-spec MOLLE attachment points for custom attachment of accessories. The no-chafe waist belt provides enhanced comfort during long missions. 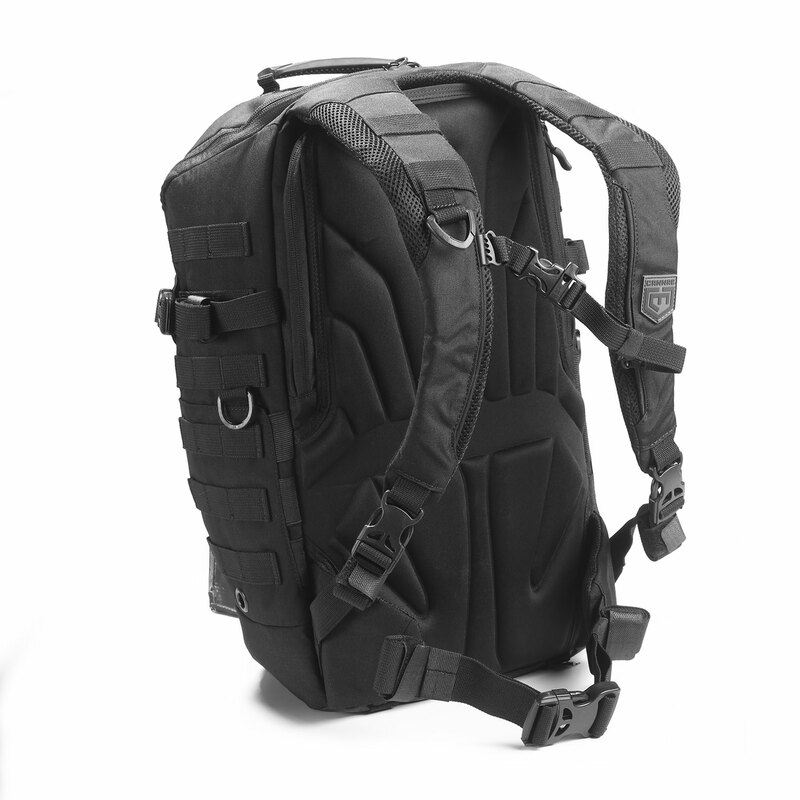 Other details include an exterior earphone port, compression straps and two quick access side pockets for water bottles.